1. A devoted Rock 94 listener who eats, sleeps, and breathes Rock 94. One who will receive exciting insider information on Rock 94 contests, concerts and events. One who has opportunities to win great prizes just by being a member. The best kind of Radio Listener alive! 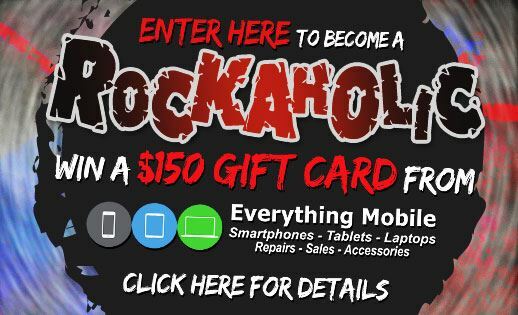 Rock 94 and Everything Mobile are going to reward our ROCKAHOLICS just for being a ROCKAHOLIC with a prize every week from Everything Mobile ! Enter Here and become an official ROCKAHOLIC. All ROCKAHOLIC members will automatically go in the draw to win the weekly prize of a $150 gift certificate from Everything Mobile! , which Kaile and Dee will announce the winner of every Friday during the Rock 94 morning show!